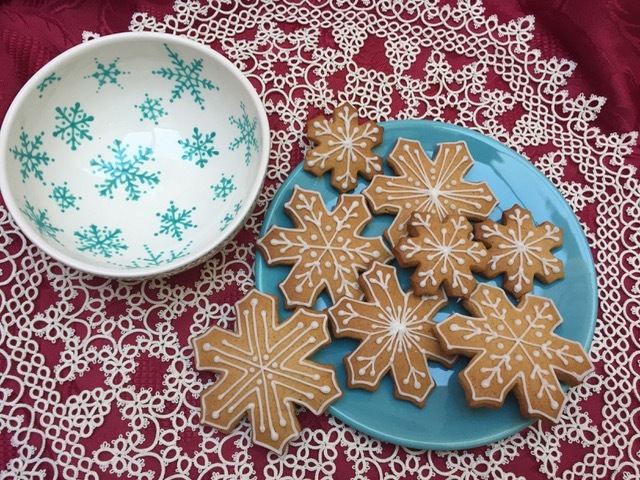 I love snowflakes. Whether they are tatted, painted... or baked! 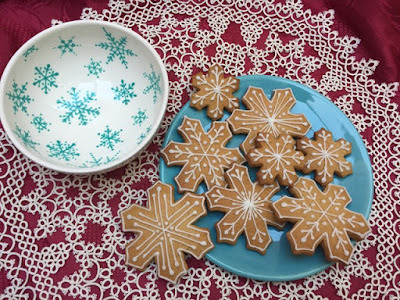 Making and decorating gingerbread is one of my favourite Christmas time activity and a lovely little gift for family and friends. This Scandinavian recipe is particularly delicious, flavoured with cinnamon, cardamom, cloves and orange zest. I found it many years ago in a magazine and it's the one I re-make every year. and I wish you a wonderful and creative New Year 2017. I'm still on my gift production line! 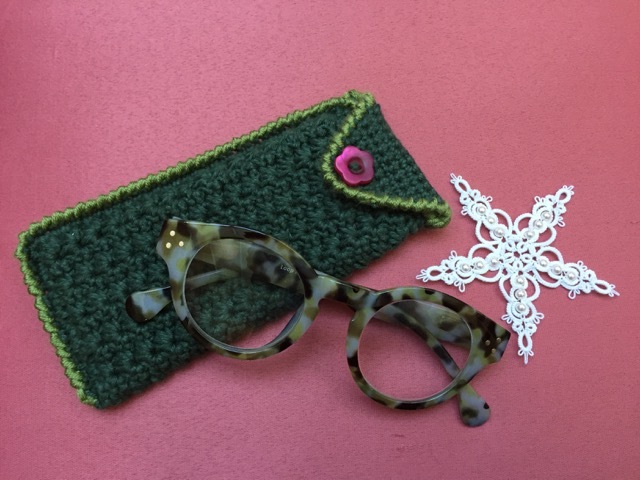 Here is a glasses case in crochet. I used the star stitch I had previously used to make bags as I liked the texture. This was a special request so I hope it will fit the bill!